If ever there was a work meant to be an audiobook, this is it. The dual narration added to what is a very compelling story, filled with a wide range of emotions and themes. 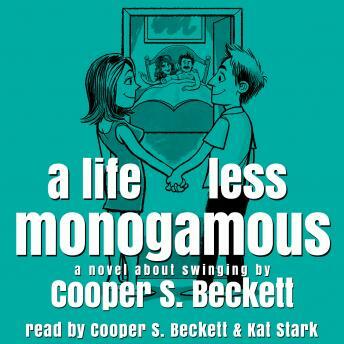 Ranging from funny, sad, provocative, overtly and covertly cautionary, this book gives what feels like a very real glimpse into what it would be like to enter the world of swinging. The characters feel both real and larger than life, expanding the narrative into almost an allegory, yet staying within the realms of total reliability. An excellent listen!